Dr. George Carlo, a leading epidemiologist, was hired by the CTIA (Cellular Telephone Industry Association) in 1993 to head a $28 million research program and prove that cell phones were safe. But he could not prove that they were safe. In fact, he discovered how unsafe these devices actually are and he has devoted his life to putting out his message. He’s written hundreds of professional articles on the subject and he has co -authored a boot with Martin Schram called Cell Phones: Invisible Hazards in the Wireless Age. The rate of death from brain cancer among handheld phone users was higher than the rate of brain cancer death among those who used non-handheld phones that were away from their head. The risk of acoustic neuroma, a benign tumour of the auditory nerve that is well in range of the radiation coming from a phone's antenna, was fifty percent higher in people who reported using cell phones for six years or more, moreover, that relationship between the amount of cell phone use and this tumour appeared to follow a dose-response curve. The risk of rare neuro epithelial tumours on the outside of the brain was more than doubled, a statistically significant risk increase, in cell phone users as compared to people who did not use cell phones. There appeared to be some correlation between brain tumours occurring on the right side of the head and the use of the phone on the right side of the head. 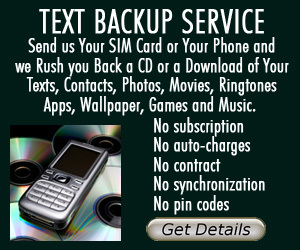 It doesn’t seem like cell phones are going to disappear and the convenience of using them is so very tempting. So, what we CAN do is to understand the technology so that we can protect ourselves from the potential harmful effects of using our cellphones. The “Air Tube” headset is absolutely the best quality and SAFEST cell phone headset that you can buy. The most unique aspect of this is that the portion that approaches your head is not wire but acoustical plastic tubing! 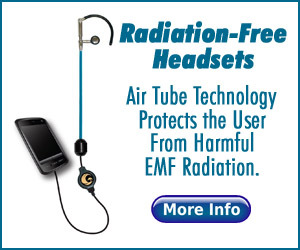 This dramatically helps you reduce radiation emissions because it prevents your brain from becoming a radio receiver!!! Plus, the Blue Tube Headset features advanced acoustic technology, delivering safe, superior communication and hassle-free use by combining the following state-of-the-art features: Enhanced speaker for louder, clearer sound, Specially designed internal wiring system that reduces feedback and distortion, More ergonomic positioning — the sound chamber hangs freely in the air between your cheek and collar bone, reducing contact with your body. The ear piece is enhanced to stay in place, not fall apart. The retractable cord created to help you eliminate any bothersome cord tangling issues. Built-in shielded cable design eliminates the “antenna effect” of attracting additional radio waves. Volume thumb control added to provide you a flexible sound adjustment without the need to reach for your phone. Mute/talk button included to deliver you a more convenient and flexible operation. Keep your phone as far away from your body as possible. There’s a dramatic drop-off in radiation exposure for every inch you keep your phone away from your body. If you must use your cellphone without your Blue Tube headset, hold it about a foot away from your head as you listen and speak. Research the cell phones that have the lowest radiation levels. According to the Cellular Telecommunications Industry Association (CTIA), specific absorption rate, or SAR, is a way of measuring the quantity of radiofrequency (RF) energy that is absorbed by the body. 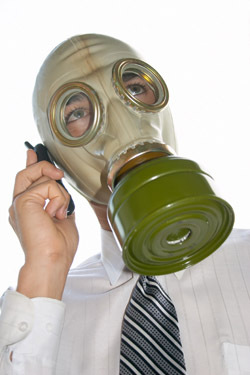 CNET offers a wonderful Quick Guide to Cell Phone Radiation Levels. Try to use an external antenna when using your cell phone from inside your car. The RF waves will be reflected back at you from the metal chassis, doors and roof magnifying the radiation. Also, the cell phone has a hard time sending its signal out of the car because of the metal chassis, and increases its transmitting strength to compensate. Limit Cell Phone calls to two minutes. The longer you use your phone, the more you are being exposed to radiation. Avoid placing cellphone on ear while call is connecting. When you place a call and you are waiting for the other person to pick up, your cellphone is sending out its strongest signal! Try to not place your cell phone to your head during this phase of the call. These free tips on preventing cell phone radiation are written by Howard Richman and are offered here as a courtesy. Please see our other free tips on various subjects.